Los Angeles County firefighters, along with Angeles National Forest Service, are battling the fire, known as the Charlie Fire. The fire began in the 31000 block of Charlie Canyon Road, according to Los Angeles County Fire Department Inspector Joey Marron. The fire was first reported at 2:40 p.m. 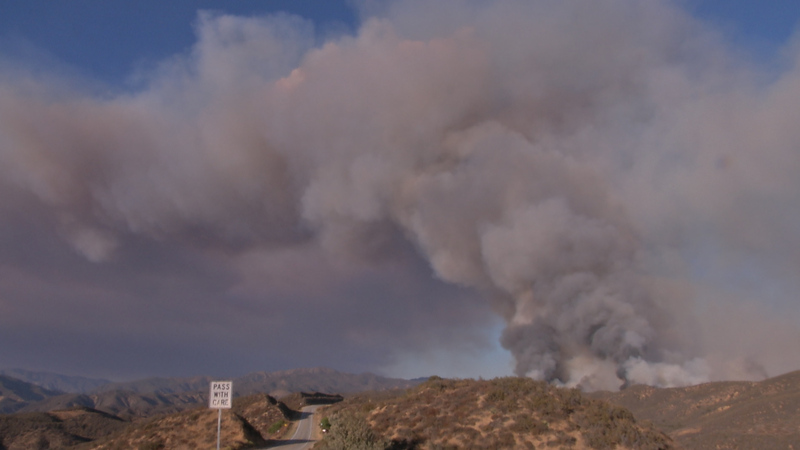 The Charlie Fire in Castaic has now burned over 3000 acres with zero percent containment according to ground officials with the Los Angeles County Fire Department. CHP officials have also announced a portion of Lake Hughes Road from Ridge Route Rd. to Dry Gulch Rd. is now closed. No evacuations have been announced so far.